At this time we are aware of two warming centers where folks can go to get out of the cold. You can get the DTE mobile phone app to report problems, receive restoration estimates and view an outage map. Visit this page for more information. 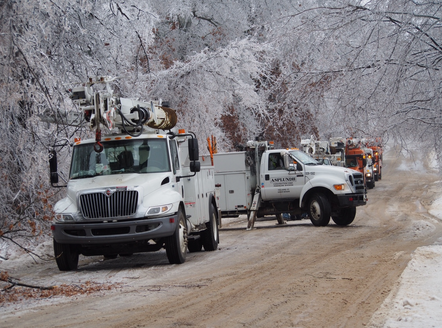 We have unconfirmed reports of utility crews from Ohio, Indiana and Kentucky in town and en route to the area to assist local DTE and Consumers crews with restoring power. It is inappropriate to call 9-1-1 or our non-emergency numbers to inquire about when power will be restored. We do not have that type of information. When people call us for this type of thing, it uses resources and dispatchers that could be better used responding to emergencies and first responders. Please call your utility company for that type of information.